Craig Convissar has experience representing companies and individuals across a variety of litigation matters in both state and federal court, including class actions, labor and employment, unfair competition, and breach of contract issues. Craig maintains an active pro bono practice and has assisted several LGBT clients in obtaining asylum in the United States. He has previously served on the New York City Bar Association's LGBT Rights Committee and is currently a member of the LGBT Bar Association of Greater New York’s board of directors and judicial screening panel. Prior to joining Katten, Craig served as a law clerk to the Honorable Laura Taylor Swain of the US District Court for the Southern District of New York. 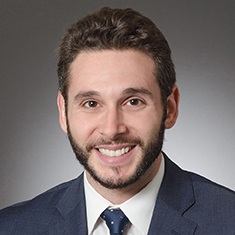 Before his clerkship, Craig was as an associate editor in the litigation group of Thomson Reuters Practical Law, and previously worked as an associate at a large corporate firm in New York, focusing his practice on litigation matters. While in law school, Craig completed internships with the New York Legal Assistance Group, Gay & Lesbian Advocates and Defenders, and the American Civil Liberties Union.